Base live rock can be shipped via FedEx ground as long as it doesn’t exceeds 3 days of shipping. We are estimating around $1.50 for shipping for FedEx Ground but we will send you a more specific quote. Why buy dry rock for $2 a pound when you can have live rock for $3 a pound? This is aquacultured base rock is the same live rock that we use for our premium live rock and it just doesn’t have all the life on it. Aquacultured base rock is a good way to set up your basic system with out spending a lot of money. Most people build the main framework of their system with base rock, and dress up the outside with live rock. The base rock lacks the high coralline algae coverage found in our live rock, but still has some color and is loaded with the bacterial fauna you’re looking for to get that system jump-started. The rock we use is an extremely porous type of limestone called “Miami Oolite”, which is very high in aragonite. We don’t buy machine-sorted rock, so we don’t boast of having millions of pounds of rock in the water, but what we do have is very high quality. 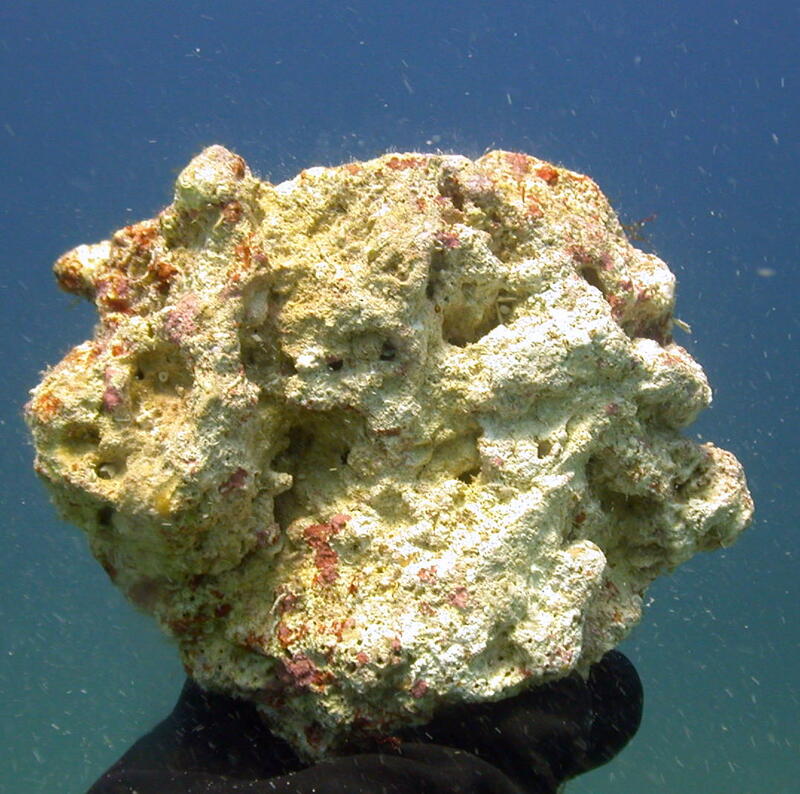 If you’re looking for quality liverock, we have the oldest offshore live rock aquaculture site in The Florida Keys, and its unique location results in some spectacular live rock. We hand select every rock that goes in the water, and leave them on the bottom for at least two years until they are ready to be harvested. Base rock is not included in our shipping flat rate. Contact us for a more exact shipping cost. AWESOME! All the live rock was fantastic, I ordered 35 lbs and got about 6 pieces, perfect for starting my aquarium. One piece, even though I ordered ground shipping, had feather dusters on it and was as good as the $10/lb from my pet store. These guys are fantastic! This base rock is great. It doesnt have all of the life found on their premium rock but did have a little coralline algae. For the price you cant go wrong. Ken and Kara are great to work with. Beautiful base rock, good amount of coraline algae covering. This rock is better than the the supposed “live rock” that sells for $8/lb at the local shops. Buy from Ken, I’ve dealt with him many times and he has never disappointed.